So according to everything above, I have everything wired up correctly... I think. I tested power to my injectors, and I now have 12 volts going to them. I also have fuel pressure to the rail. My injectors will still not fire. I even pulled spark plugs with the egi fuse still in and cranked. No fuel spraying. Does anybody have any idea why this could be happening? I found the x-14 connector and connected it. I will test for continuity from the x-05 front to the injector clips next. When you say to test that, you are talking about the brown/orange wire all the way to the injector wires themselves, correct? Thank you for responding. I really appreciate it. Ok, I tested power from x05 front to the injector clips and everything checks out ok. Can anyone think of a reason why my injectors are not pulsing? Is there an injector silonoid that could be malfunctioning? i had the same problem while doing this mod. all i can remember was i had the injectors B/Y(EM) connected to pin G/B (FRNT). I was getting good 12v, fuel press, but the engine just cranks all day. so i went back and re-verified each pin again and i accindently swapped pin B/L with G/B on the x-05 connector. so just makes sure the B/L and B/O mates together. try it again and lmk. I know it sounds stupid to ask, but could you actually spell out the full title of the colors that are important to match up? Also can you explain which orientation is which? Like are those views looking at or behind the connector? Sorry, I just need to get this right, and thank you. the view is looking infront of the connector on both. NOTE: PLEASE REMOVED ALL PINS BEFORE STARTING THIS MODIFICATION. NEXT, YOU NEED TO MODIFY THE JDM X-05 12 PIN (BLUE) CONNECTOR AND MAKE IT TO A 10 PIN CONNECTOR. I USED A DREMEL TO CUT MY OFF. CUT THE B/L AND BR PIN CONNECTOR OFF. 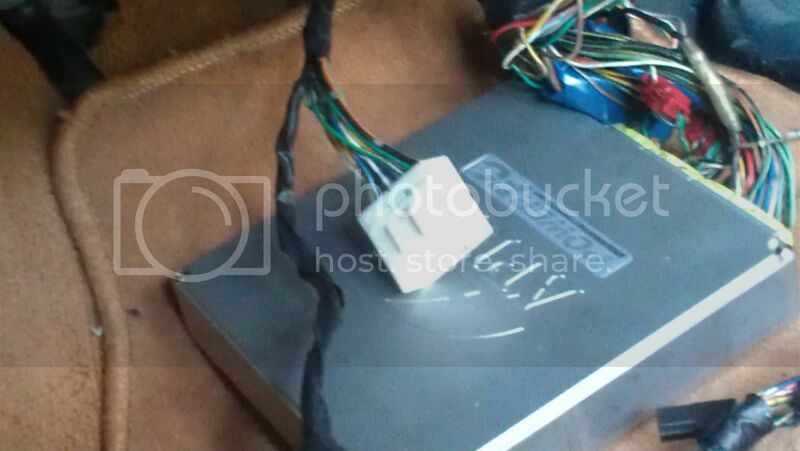 NOTE: BR/Y WIRE(FUEL TEMP SENSOR) GOES TO X-14 AND PIN IT TO THE BLUE WIRE ON X-14 (white connector under the DASH). When you wire the br/y wire to the x-14 connector, do you de-pin the old wire or just splice it in? My harness already has the blue wire on both sides of the x-14 connector. I just did this conversion on a JDM harness. I did have the same question as you, but ended up just skipping brown/y wire since I am not using fuel temp. No lights, no issues. really? I'm actually showing a check engine light because of this. Thanks for your reply. 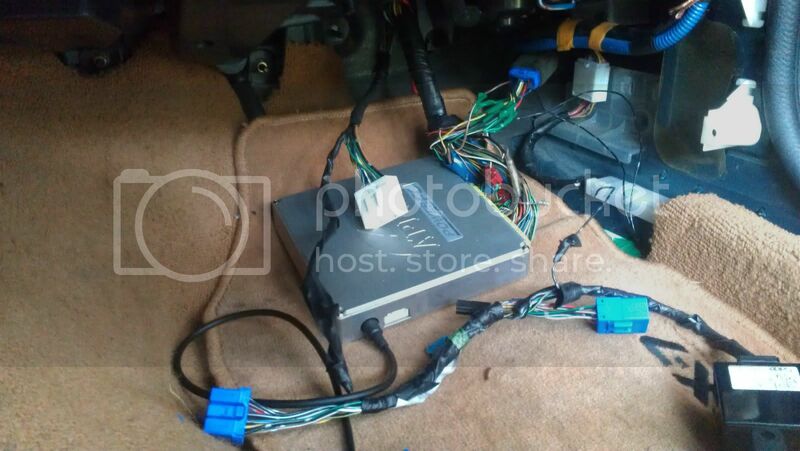 Right now I'm trying to find the JDM x14 connector and trying to see what the blue wire that I'm supposed to pin to and see where that goes on the JDM harness. If that makes sense. thanks brotha hopefully someone can help. ! I apologize for resurrecting a dead thread. So im lame terms, should I be cutting off the JDM x-05 connector from the main engine harness and splicing in the USDM x-05 connector, splicing COLOR to COLOR, EXCEPT for the one brown/yellow wire? Or is there a certain wire from the JDM harness that needs to go to the USDM x-14 white connector with a blue wire? Also, what exactly is this white connector here, and where does it need to be connected? I also notice that the x-05 connector does not need this extension piece to fit into that other part. Is it necessary to be hooked up? it looks like in the picture above they have it hooked up directly. I apologize again for being so electrical illiterate. Someone to coach me through this part would be greatly appreciated. I am thinking this is the reason I have no power to my injectors. Did you ever find out what the white connector was for, and whether it needed to be connected, and if so, connected to what? My mechanic here down in Bellevue is trying to figure out the same question. Someone posted that it goes to a connector up on the firewall, but what function does it support in the electrical system? Little white orphan. Lots of wires coming out of it. Last edited by rousu; 02-20-17 at 11:20 PM. what does everyone do for the fan control unit? The black connector for the fan controller (black box) isn’t on my Jdm harness. Will a pfc fix this? Do I need a Jdm ecu? Im still searching as well. If you learn anything on this, I'd be interested to. As far as I can tell, there isn't really much documented on the JDM harness + fan recall. Why are both leading plugs connected to the same ignition coil?